Going to the April 26 event at Bonifacio High Street? Well, visit our booth with these and get super, super discounts! 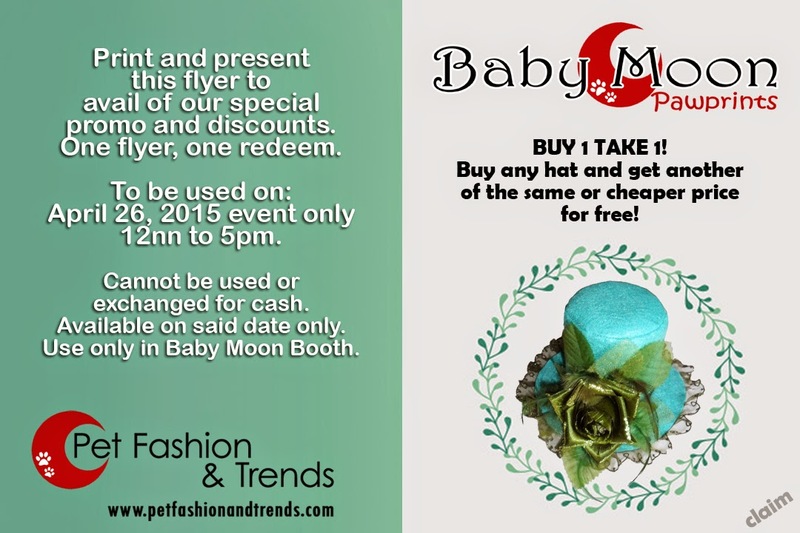 Just print and present for a discounted shopping for your pet. 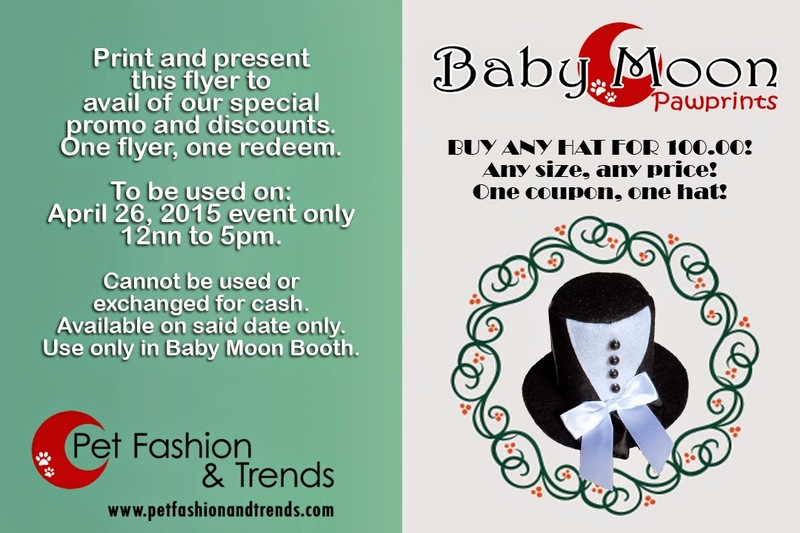 The Baby Moon Booth will be selling Hats, pillows and other doggy accessories. We will also be doing arts and craft time! We'll have wrapping paper designing and simple toy making.